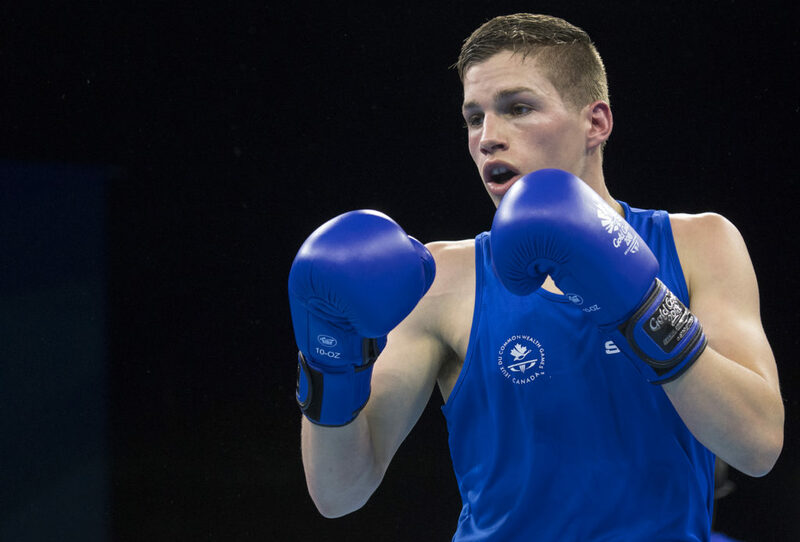 Thomas Blumenfeld will be the sole Canadian making his way to the finals of the Gold Coast 2018 Commonwealth Games as the remainder of Team Canada’s boxing team walked away with five bronze medals in semifinals. Indeed, Montreal Thomas Blumenfeld got past his Ghanaian opponent in the semifinals, winning all three rounds with a 5-0 unanimous decision. 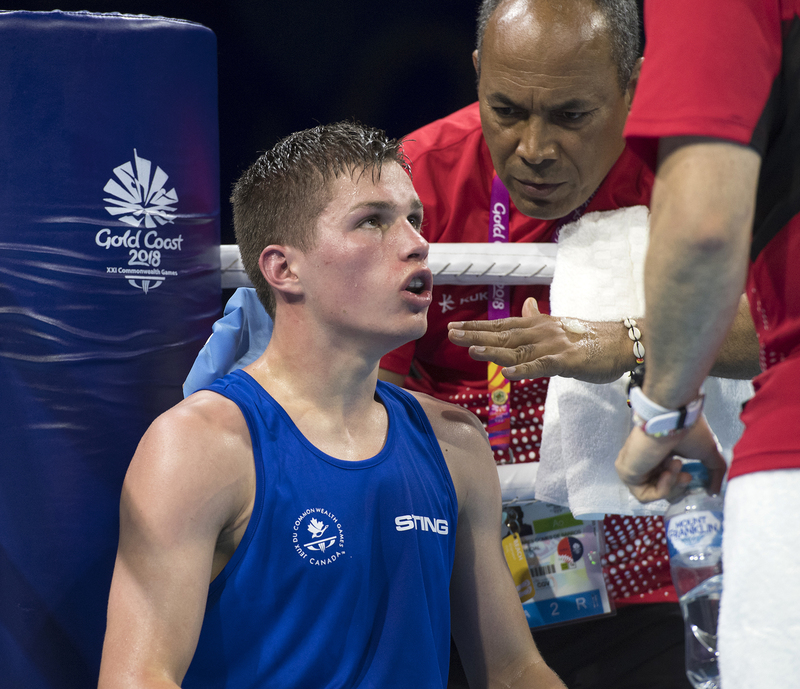 Southpaw Jessie Lartey was no match for the 20-year-old Canadian as the bout was one-sided for Thomas. Thomas will now be facing Namibian Jonas Jonas in the finals, in an attempt to win Gold for his country! The Light welterweight final will be opposing Thomas Blumenfeld and Namibian Jonas Jonas in what is expected to be thrilling bout. Be assured that Jonas will bring his A-game in the finals as he will use his previous Commonwealth Games’ experience to his advantage. In Glasgow 2014, he finished 2nd in his weight division and he will most likely try to better his ranking at the 2018 edition. On his part, Thomas Blumenfeld will attempt to win gold for his Canadian boxing team during his first participation in a major multi-sports Games. With three dominating wins over his progression in the competition, Thomas is confident in his abilities and that he will walk away victorious. Make sure not to miss Team Canada’s only boxing finalist in his challenge for the Gold. The bout takes place on April 13th at 23:32 EST, live from Oxenford Studios. Make sure to watch the live broadcast on DAZN.com. Sabrina took home the Bronze medal after losing a 4-1 judge decision in the semifinals against tough opponent Australian Nicolson. “I was prepared for this match. I couldn’t counter her like I wanted to. She did well. She’s a good boxer.”, post-match comments from Aubin. Tammara seemed to have a tough time facing Lauren Price in the semifinals, but the Canadian is nonetheless bringing home a Bronze medal. “I know I could have done better. It's my first Major Game, so it was a little nerve-racking,” stated the Canadian after the bout. Tammara said she is going to work harder upon her return home and is taking things one day at a time. The judges scored this bout 4-1, in favor of the Samoan. Canadian O’Reilly managed to walk away with a well-earned Bronze medal from the Games. “It was a really good match. I kept it too close and I was landing clean shots, but he was controlling the bout and that’s something I have to work on.”, said O’Reilly in his post-match interview.